Why it matters: Fujifilm is catering to niche photographers with its latest camera, the compact XF10. If you care about photo quality above all else and have a tight budget, keep reading. The successor to the X70 compact, the Fujifilm XF10 features a 24.2 megapixel APS-C sized sensor (that’s big for a compact camera like this) mated to a wide-angle 18.5mm (equivalent to a 28mm lens in 35mm terms) fixed f/2.8 aperture lens. The digital tele-converter function lets you shoot at effective focal lengths of 35mm or 50mm but note, this is a true fixed focal length lens (no super zoom here). Around back is a 3-inch, 1.04-million-dot touchscreen LCD. Since there’s no EVF, this will be your only way to frame shots. Fujifilm’s latest is capable of shooting video in 4K quality albeit only at a paltry 15FPS. Indeed, you’ll likely want to stick to Full HD at 60FPS for best results. ISO sensitivity checks in at 200 – 12800, or 100 – 51200 when using high sensitivity mode. The compact shooter measures 4.4 inches (W) x 2.5 inches (H) x 1.6 inches (D) and tips the scales at approximately 9.8 ounces with a battery and memory card installed. 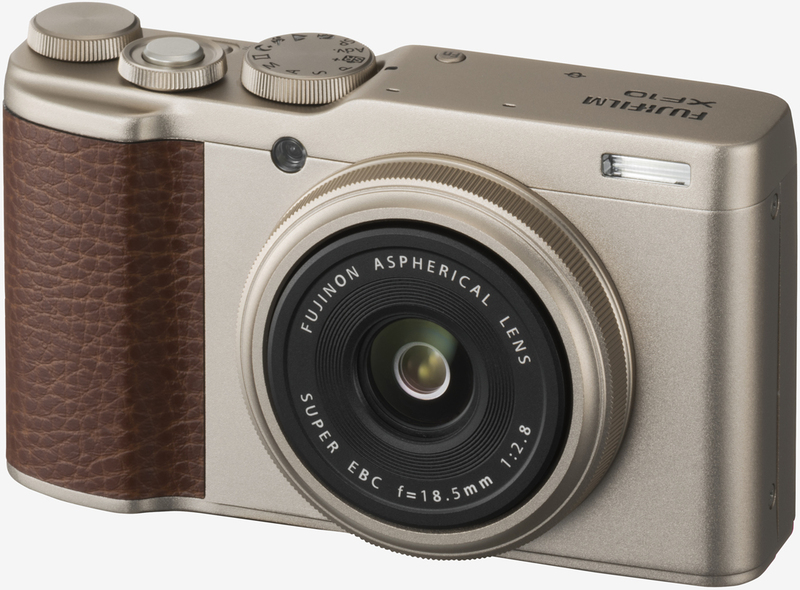 The Fujifilm XF10 launches in August in your choice of champagne gold or black color schemes for $499.95. It's already up on B&H Photo if you want to pre-order.